Over the past decade, a number of studies have examined the efficacy of psychological (mostly cognitive-behavioural) treatments for social anxiety disorder. The most commonly investigated treatments have been in vivo exposure (with or without the addition of cognitive restructuring techniques), social skills training, and relaxation training. The International Consensus Group on Depression and Anxiety's 'Consensus Statement on Social Anxiety Disorder' concluded that there is good evidence for the efficacy of exposure-based cognitive-behavioural interventions for social anxiety (Ballenger et al., 1998). Accordingly, these interventions receive the bulk of our attention in this review. Exposure to feared situations is a central component of most treatments for social anxiety disorder. Exposure can be conducted either imaginally, in role plays or in vivo, to help clients habituate to anxiety-provoking situations and to provide an opportunity to gather disconfirmatory information and apply active coping skills. A substantial number of studies have demonstrated the superiority of exposure treatments to progressive relaxation training (Alstrom et al., 1984; Al-Kubaisy et al., 1992), pill placebo (Turner, Beidel & Jacob, 1994a), waiting-list controls (Butler et al., 1984; Newman et al., 1994) and a control therapy (Alstrom etal., 1984). Treatments that combine exposure techniques and cognitive restructuring are by far the most extensively researched psychosocial interventions for social anxiety disorder. Cognitive models of social anxiety disorder (see, for example, Beck, Emery & Greenberg, 1985; Clark & Wells, 1995; Rapee & Heimberg, 1997) suggest that the development and maintenance of social anxiety arises from distortions in the content of cognitions and in the way that individuals process information related to social-evaluative situations. Persons with social anxiety disorder experience anxiety in social situations because they evaluate their own performance in an excessively critical manner and believe that others hold excessively high standards for their behaviour, leading to negative expectations for social consequences (such as rejection or loss of social status). Avoidance of social situations often becomes a maladaptive learned response that effectively reduces anxiety in the moment but precludes the acquisition of adequate coping skills and the realistic appraisal of social outcomes. Thus, the vicious interaction of anxious arousal, negative thoughts and active behavioural avoidance provides the setting for the development of chronic problems with social anxiety. Most of the cognitive techniques employed in published studies of the treatment of social anxiety disorder are derived from the works of Aaron Beck (for example, Beck et al., 1979, 1985) and Albert Ellis (for example, Ellis, 1962). Heimberg's cognitive-behavioural group therapy (CBGT) (Heimberg & Becker, 2002) was initially derived from the Beckian tradition and serves as an example of a widely studied, empirically supported cognitive-behavioural treatment protocol for social anxiety disorder. In CBGT, the format of a small co-educational group of about six clients led by two therapists provides a 'built-in' exposure to social interactions. An initial psychoeducation component provides the client with accurate information about the cognitive, physiological and behavioural components of social anxiety and increases their awareness and understanding about their disorder. In teaching the skills of cognitive restructuring, self-monitoring is initiated to identify the thinking errors in clients' evaluations of social situations. Clients also learn an efficient routine for questioning the content of their anxiety-related thoughts. Before role-played exposures to simulated versions of personally feared situations, clients examine their negative anticipatory thoughts and substitute more evidence-based and less catastrophic alternative thoughts. During these role plays, clients practise their newly acquired views of feared situations and, at the same time, test the hypothesis that their anxiety will diminish with continued exposure to the feared situation. Thereafter, clients agree to expose themselves to feared situations between sessions and to practise cognitive restructuring skills as was done in session. Thus, CBGT employs both systematic therapist-directed in-session exposures and homework assignments for in vivo exposure and self-administered cognitive restructuring to address each client's individual fears. Previous studies of CBGT have reported its superiority over a credible attention placebo control comprised of education and discussion regarding the nature of social anxiety and group support (Heimberg et al., 1990). After 12 weeks of treatment both groups showed significant improvements, with the CBGT group rated as significantly less impaired than the control group by a clinical assessor. At a six-month follow-up, 81 % of CBGT patients were improved, compared to 47 % of controls. At a follow-up assessment four to six years post-treatment, 89 % of those who had received CBGT reported significant improvements in symptoms and impairment compared to 44 % of the control group, on several clinician-rated, self-report, and behavioural measures (Heimberg et al., 1993). In a comparative study of CBGT, exposure alone, and a waiting list, CBGT produced post-test results that were equivalent to those achieved by exposure, and both treatments were superior to the waiting list (Hope, Heimberg & Bruch, 1995a). 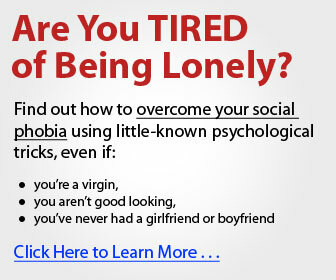 Furthermore, Hope, Herbert & White (1995b) and Brown, Heimberg & Juster (1995) reported that CBGT was efficacious for the more severely impaired clients with the generalized subtype of social anxiety and/or comorbid avoidant personality disorder, although the group with generalized social anxiety disorder remained more impaired than the group with nongeneralized social anxiety disorder after treatment. Lucas & Telch (1993) compared outcome across three treatment conditions: CBGT, an individual approach to CBT that used the same basic approach as the group treatment and educational supportive group therapy (the control condition used by Heimberg et al., 1990). Clients in both the group and individual CBT conditions were significantly more improved than controls. There were no differences between the active treatments on clinical measures; however, the group was more cost-effective. A similar outcome was reported by (Ost et al. (1995). In contrast, Stangier et al. (2003) reported that an individual CBT based on the model of social anxiety proposed by Clark & Wells (1995) was superior to group CBT on measures of social anxiety at post-treatment and at a six-month follow-up in a sample of clients with generalized social anxiety disorder. A controlled study of an individual CBT programme for social anxiety developed by Heimberg and colleagues (Hope et al., 2000) was completed (Zaider et al., 2003), and preliminary analyses suggested that this individual treatment may also be more efficacious than group treatment. Research examining whether cognitive techniques enhance the efficacy of exposure has yielded mixed results. Hope etal. (1995a), Scholing &Emmelkamp (1993,1996) and Taylor etal. (1997) reported that a combined exposure and cognitive restructuring package was not more effective than exposure alone, whereas Mattick & Peters (1988) and Mattick, Peters & Clarke (1989) found that a combined package was superior to exposure alone on certain measures of cognition, behaviour and end-state functioning. Some comparative studies found that only patients who received combined treatment showed continued improvement at follow-up (Butler et al., 1984; Mattick et al., 1989) while no differences at follow-up were reported by others (Hope et al., 1995a; Taylor et al., 1997). It is difficult to draw conclusions about the relative efficacy of 'cognitive restructuring combined with exposure' versus 'exposure alone' from this collection of studies and its often conflicting and equivocal results (but see the section on meta-analyses below). It is important to note that, strictly speaking, exposure is rarely administered alone and therefore the question of whether exposure should or should not be combined with other techniques like cognitive restructuring may be off the mark. In fact, it may be difficult to tell the difference between the two, and this exercise may not be especially worthwhile (Rodebaugh, Holaway & Heimberg, 2004). Many exposure treatments, especially those in which exposure is therapist administered, include interactions over patient skill, visibility of anxiety, and coping strategies, either in getting the client ready for an exposure or in debriefing the exposure experience (Newman et al., 1994; Turk, Fresco & Heimberg, 1999). If the combination of exposure and cognitive techniques is as effective as exposure alone, then only half the amount of exposure is necessary in combined treatments. Many mental health professionals may lack the resources for creating optimal exposure exercises (for example, providing an audience for a public speaking exposure), so techniques for cognitive restructuring may be applied as a practical and effective adjunct to systematized exposure exercises. Cognitive-behavioural models of social anxiety suggests that distorted negative cognitions may lead to deficient social performance among persons with social anxiety but that many of these persons could perform adequately enough in the absence of anxiety (Clark & Wells, 1995; Rapee & Heimberg, 1997). However, others (Turner et al., 1994b) have suggested that the socially anxious person's negative expectancies may accurately reflect a history of poor performance and negative outcomes in social situations. From this perspective, actual deficits in social skills increase the probability of negative social outcomes and the individual's expectancies of future negative outcomes in social-evaluative situations lead to increased social avoidance, thereby further limiting the ability to develop social skills. The social skills model emphasizes the lack of effective social skills, whereas the cognitive-behavioural model suggests that social skills may be overshadowed by excessive and performance-impairing cognition and anxiety. Social skills training (SST) is a structured therapy that involves training clients in interpersonal skills such as maintaining eye contact and active listening to enable effective performance in a variety of social situations. Techniques traditionally used in SST include therapist modelling, behavioural rehearsal, corrective feedback, social reinforcement and homework assignments. In one early controlled study of SST in clients with diagnoses of personality disorder or neurosis, Marzillier, Lambert & Kellet (1976) reported that 15 weeks of training produced improvements in social anxiety, social skills and clinical adjustment. However, these changes were not significantly different from those found in a wait-list control group. In several other uncontrolled studies, patients given social skills training demonstrated significant improvements in various aspects of social anxiety such as reductions in self-reported anxiety, depression and difficulty in social situations (Falloon, Lloyd & Harpin, 1981; Lucock & Salkovskis, 1988; Stravynski, Marks & Yule, 1982; Trower et al., 1978; Wlazlo et al., 1990). When CBGT was compared with a combination treatment of SST plus CBGT, significantly greater gains were demonstrated for the combined condition (Herbert et al., 2005). The efficacy data for SST are largely compromised by methodological problems such as lack of control groups and small sample sizes. Furthermore, the active component of these treatment-related changes is unclear, as SST includes inherent exposure opportunities. A treatment combining exposure with SST has provided promising results. Social Effectiveness Training (SET) combines imaginal and therapist-directed exposure with SST and education in concurrent group and individual sessions (Turner et al., 1994b). A direct focus of SET is to teach clients to be aware of the social environment, through the instruction in and feedback on communication strategies, listening skills and presentation skills. Exposures in SET are longer than in CBGT, with the goal of habituation rather than active refutation of cognitions. Social effectiveness training is less well studied than CBGT. However, results of an uncontrolled pilot study with 13 persons with generalized social anxiety who completed SET showed significant improvements on self-report and clinician rated measures, as well as social skills effectiveness. At post-treatment, 84 % of completers were classified as having achieved either moderate or high endstate functioning. A two-year follow-up assessment of eight treatment completers indicated that all maintained their gains or showed additional improvement over time (Turner, Beidel & Cooley-Quille, 1995). Controlled treatment trials and dismantling studies of SET are needed to determine whether social skills training adds any benefit beyond that of exposure alone. Applied relaxation training teaches the individual to identify anxiety immediately and to practise progressive muscle relaxation while in feared situations as a strategy for coping with social anxiety (Ost, 1987). The rationale for this treatment is that relaxation can help socially anxious persons to overcome excessive physiological arousal that can interfere with social performance. (Ost, Jerremalm & Johansson (1981) randomly assigned 40 subjects to 10 individual sessions of SST or applied relaxation. The two types of treatments performed equally well on behavioural and self-report measures, although there seemed to be slightly better outcomes for applied relaxation among persons who showed the greatest physiological response in a behaviour test. A subsequent controlled study (Jerremalm, Jansson & (Ost, 1986) found that applied relaxation appeared to be less effective than a cognitive treatment on self-report measures but superior to a waiting list on both behavioural and physiological indices. A more recent study comparing cognitive therapy (see Clark et al., 2003), exposure plus applied relaxation, and a wait-list control (Clark et al., 2006) showed a greater effectiveness of the cognitive therapy condition at post-treatment and one-year follow-up. Minimal improvements following the use of relaxation training without the applied focus (Al-Kubaisy et al., 1992; Alstrom et al., 1984) emphasize the importance of practising relaxation during in vivo exposure to feared situations. 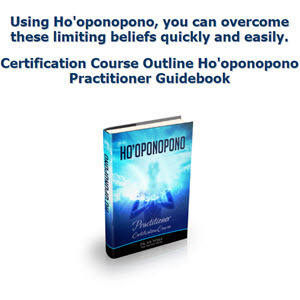 This is an audio all about guiding you to relaxation. 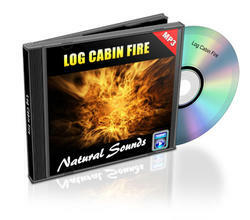 This is a Relaxation Audio Sounds with sounds from Log Cabin Fire.